Newer drones such as the DJI Phantom 3 or 3DR Solo are truly magical. Their capabilities are way beyond former models and they are effectively “miracle machines”. 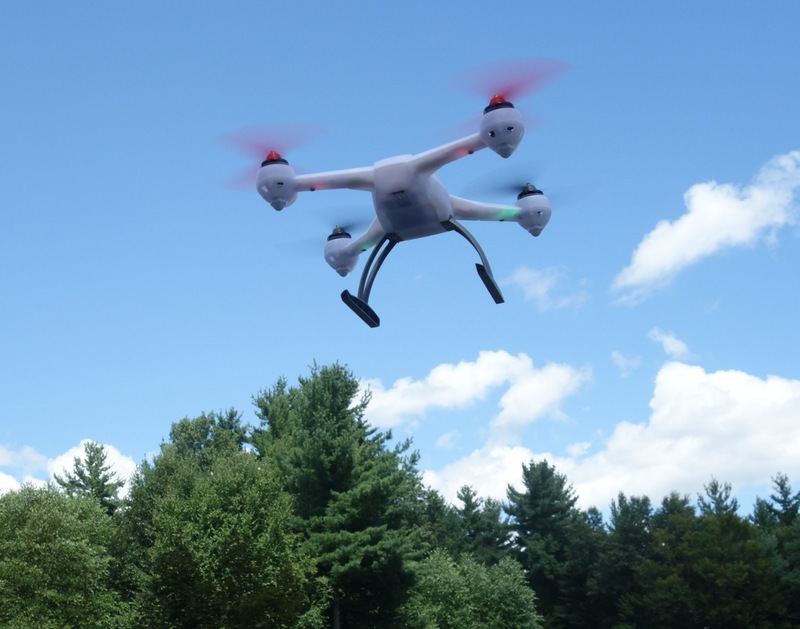 However, the question remains – will YOU make a good drone owner, operator and pilot? “I use this drone for my work with photography/video and therefore cannot be without it. Lost revenues are the fault of Company X and therefore they should serve me even better and quicker”. “I consider myself a tough customer and spend a decent amount of time on complaints, calls to manufacturers, lawsuits, etc. to make sure I get what I paid for”. Think about these statements as a typical survey where you might answer True or False – or even with a 3-way answer such as Strongly Agree/Neutral/Strongly Disagree. Syma is well known for their low cost quadcopters and the brand is often suggested to those who want to get started in this hobby. Their most popular models – the X1 and X5 – are too large for extensive indoor flying, so we were pleased to see them release the Syma X11 Hornet, a smaller model. This model comes with propeller guards as standard equipment making the quad comparable in price to other popular starter models such as the Hubsan X4. Our review and rating will put the Syma X11 Hornet through it’s paces and let you know if you should consider this quadcopter for your fleet. Note – the following is for new users or buyers of the Phantom FC40 or Phantom 1 models. These models can be identified by the single round LED on the quadcopter read and the battery compartment door on the front. The FC40 includes a camera while the plain Phantom 1 comes with a GoPro holder. Have you recently acquired a Phantom FC40 or Phantom 1? The Holiday season often ends with the unboxing of thousands of new Quadcopters! If so – and if you have limited experience with the DJI Phantoms and advanced Quadcopters – please read and understand the following before taking to the air. Before taking your Phantom outside to fly! NAZA – the flight controller box (F/C) inside your Phantom which contains the hardware and software which makes your quadcopter work. NAZA Assistant – the software, windows or mac, which allows you to upgrade, test and change various settings on your Phantom. Transmitter or TX – the remote control (usually a white box with two “sticks”) which you use to control your Phantom. S1 and S2 (called X1 and X2 in the Assistant program!) – the switches on the upper right (S1) and left (S2) of your TX. These set the “modes” which the Phantom responds to and can be programmed in the NAZA assistant software. ATTI – Altitude hold mode on the NAZA F/C – this does away with the use of the GPS and gives you semi-manual control. Blade is the brand name given to R/C Helicopter and Multirotors (Quadcopters, etc.) by Horizon Hobby, an American company which has been in business since the mid-1980’s. They have offices and manufacturing around the globe and, in this sense, differ greatly from many of the current “toy grade” vendors. Horizon Hobby products are sold through various outlets – including many local hobby shops. You can also buy products directly from their web site or from Amazon and other online vendors. In this review, I’ll look at their 200 QX quadcopter, a small quadcopter with powerful brushless motors. Horizon Hobby describes this as a “compact quad loaded with tech”.Droneflyers.com focuses on beginner and intermediate pilots – so this unit was purchased with a “starter” TX – the Spektrum DX5e. This is also made by Horizon and can be used for many of their other models as well as some other brands which use the DSM R/C technology (this is a wireless protocol type).